I wrote an essay celebrating Mandela using truth as hammer with which to pulverize hatred. This was Mandela’ s primary mission, and it succeeded. That was not obvious. Look at Algeria. In 1960, Algeria was richer per capita than South Africa, and enjoyed (on paper) more freedom (apartheid, although practically observed in Algeria, was not imposed with the force and arrogance it was in South Africa; the first universal suffrage vote happened in (French administered) Algeria a third of a century earlier than in South Africa. The weight of the past can be overwhelmed, though. Mandela showed that. So why did it not happen in Algeria? Intellectual failure. All over. The situation in Algeria turned out catastrophic, because no man, no leader, spiritual or political, in France, or Algeria had the philosophical, and political stature of Mandela (Camus did not reach Mandela’s philosophical understanding). As I pointed out, Mandela understood something that was not understood, or proclaimed, before: the Will to Truth can overwhelm the Will To Power. The problem with the Franco-Algerian civil war, was not just that there was no Mandela. But that the whole political and intellectuals landscape was full of short sighted hateful dwarves, full of racism, on the left or the right, on one side of the sea, as on the other (yes, I include De Gaulle, the OAS, the FNL, and all Franco-Algerian intellectuals, Camus excepted, in this global condemnation). The vicious Franco-Algerian war had hardened hearts, and left only draconian mentalities in power (Draco gloated that most offenses were worthy of the death penalty, 2,615 years ago in Athens). In the early 1990s, 19% of South Africa was “white”. Nowadays it’s 9% (the poor tend to reproduce like rabbits, everywhere). 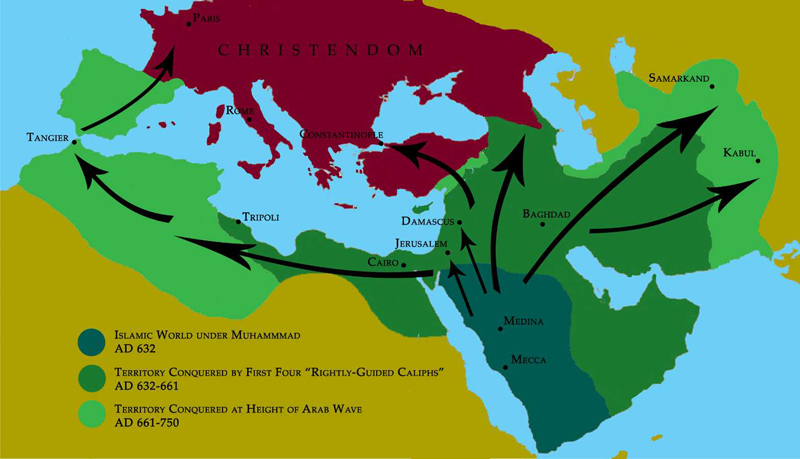 In Algeria, upon so called “independence” 15% of the population fled (including lots of Jews, whose ancestors had arrived in the area 2,100 years before, 8 centuries before Arabs and Muslims invaded by the sword). Many of the Jews ended in Israel, as the French Republic had been, naturally enough, Israel’s main sponsor. It was independence from Paris, but not from hatred and other vicious habits many of them learned there (such as the pseudo-leftism clamored by hypocrites such as Jean-Paul Sartre, the pseudo-philosopher, and his ilk of ill disguised collaborators). I mentioned that, ideally, Mandela would have told a few truths that needed to be told, and, first of all, that wisdom pays, and only wisdom does. Long term. Second, that wisdom arises from a wealth of knowledge, and only from that: Mandela, a king, was also a lawyer, a boxer, and someone who learned Afrikaner as an adult. Slavoj Zizek, the famous European (Slovenian) philosopher, psychoanalyst and social theorist at the Birkbeck School of Law, University of London, wrote an incisive essay for the New York times”Mandela’s Socialist Failure“. The essay is transverse to my “Mandela, Truth Philosopher”. I do not disagree with its spirit. Just the details, where the most pernicious devils lurk. Amen to this. Zizek ought to realize though that Franklin D. Roosevelt (from plutocratic background) and Eisenhower (Republican president) were conducting policies way left than anything proposed by the democratic party of the USA, or any “left”, “socialist’, or “labor” party in the West in the last 40 years. Those who are serious about debt reduction ought to follow Republican president Eisenhower’s drastic remedy: bring up the highest margin tax rate to 93%. In general, most of today’s economic and social ills would disappear if one returned to the conservative fiscal methods of the 1950s. Those would allow to keep in good functioning order the welfare state established in the period 1933-1965. Roosevelt and Eisenhower would have certainly presented themselves as free market liberals, pro-capitalists. And they were. So, Zizek, it’s not about “capitalist mechanisms”. It’s about having forgotten the wisdom of the past. And it’s about intellectuals who, like Zizek, do not go inside the machinery enough to make a cogent critique of what went wrong. 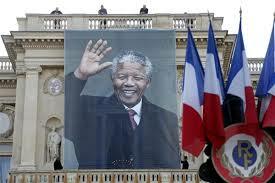 Mandela did not do such a mistake: he had the Algerian disaster in full view, and tried to avoid it. This, Zizek does not see. And it’s going wrong all over, in newer ways: witness the suicidal rise of fossil fuel companies’ influence, in the last 15 years. Something never seen before, and that no socialists of the past could have envisioned, in their worst nightmares. Note: 1) Millions died or fled from the Algerian War. Nearly all the population of Algeria suffered, and the suffering extends to this day. Translation: France is so rich, all Algerians want to come here. So we will not do integration. Down with Mosques. Mandela IS An Example to All. He will live on as a shining beacon forever. Not less because he brought to the fore, and showed that both the Dark Side, in combination with Truth, was how to make wisdom triumph. This is a lesson that had escaped Socrates himself. In his entire life, Mandela did only one thing really wrong: he served a single five year presidential term, instead of two. He could have used the second one to say a few uncomfortable truths he had the stature to present, defend and implement the remedies they called for. Told, when president, that some youth protested about the absence of enough social change, Mandela lashed out that they should go to school instead. Mandela had a temper. But he knew how to use it for the best. As a ram to tell the truth. It’s because Mandela could call onto the Dark Side, as needed, that he was able to do all he did. Mandela was a master, not a slave. He preferred to take a chance and die fighting than thrive on his knees. From kingly lineage, he became a lawyer, and struggled against the racial terror system in South Africa. Then the Apartheid plutocrats resorted to extermination, Mandela responded to the escalation in the only way, the only appropriate way. He brought a bigger mob to handle the guys with the bigger guns. Mandela switched to physical violence and high explosives. That, dear pacifists of the morbid type, is how one handles Nazi-like characters. Not by turning the other cheek, but by turning to violence that wins them over. As nothing else will. That was the inescapable power logic of France’s attack against Hitler, and of the nuclear bombings over Japan: confronted to ultimate violence, only a fiercer violence can dominate… for the better. Mandela’s armed struggle was the one and only correct decision: only confrontation can beat infamy, submission is collaboration. Arrested, Mandela risked the death penalty. But the satanic servants of horrors opted for a wiser course, and that’s why 9% of the population of South Africa is still “white”. It was a tentative des-escalation on their part. And a very wise one: as it turned out, Mandela was the one and only who could reconcile all. And that’s why 9% of the population of South Africa is still “white”. Things could have still evolved for the worst, as they did, say, in Algeria. But Mandela, once again found the perfect dosage of Enlightenment and Dark Side to knead and transform his jailers’ previously rigid minds. Mandela refused to call his jailers “boss”. But he learned their language, Afrikaner. He refused to be freed, until his conditions were met. Mandela knew how much he owed to the Dark Side. He insisted he was not a good man, but real tough and mean. To prove this, he rolled out, a few years ago, that he had beaten his first wife. He insisted, too, that he was no Gandhi. Gandhi was a pacifist, Mandela was not. Gandhi played saint, Mandela was one. Gandhi played the saint so much, he came down to believe in his all encompassing goodness. He could do not wrong, he thought. Just as a pilot who thinks he cannot do wrong, and he had just to fly straight ahead, Gandhi crashed into a mountain. A mountain that he had erected himself, by being too much of an Hindu nationalist: the division of the subcontinent along religious lines, in a blood bath that killed millions, several times, and could cause a nuclear war. Relative to this, what he fought against was nothing. Gandhi turned something that was easy to do, and was going to happen anyway, into a disaster. Mandela did the opposite: he turned something that was nearly impossible to do, into a total success. Mandela knew people could cause mass mayhem, just by making mistakes, and thus that, in the situation he and De Klerk were, it was crucial to avoid the smallest mistake. And he said so, pointing out De Klerk’s “mistakes”, strenuously, firmly, but, deep down, kindly. Mandela set-up the Truth & Reconciliation Commission: in exchange for the truth, the worst of the worst were forgiven, and reconciled. This stays a model, a new solution for political situations of this type, where either both sides have been very wrong, or when plutocrats give up power and are forgiven in exchange for explaining how their satanic powers were exerted (the latter revelation automatically disarms them, not just tactically, politically, but also, and most importantly, philosophically). This is indeed exactly what Socrates failed to implement; big time philosophy in action, for the better, in a war, and racist context. The Truth and Reconciliation strategy was a gigantic progress, philosophically speaking. Mandela’s contribution to philosophy may have been greater than any made by, say, Socrates, Plato, or Aristotle. 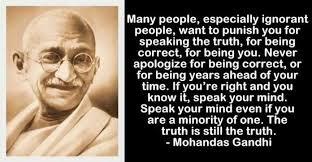 Mandela implemented the highest and most important principle: truth is more important than anything else. Horror, first of all, is enabled by lies. Truth as the ultimate exercise of power: something for all to meditate, and implement.